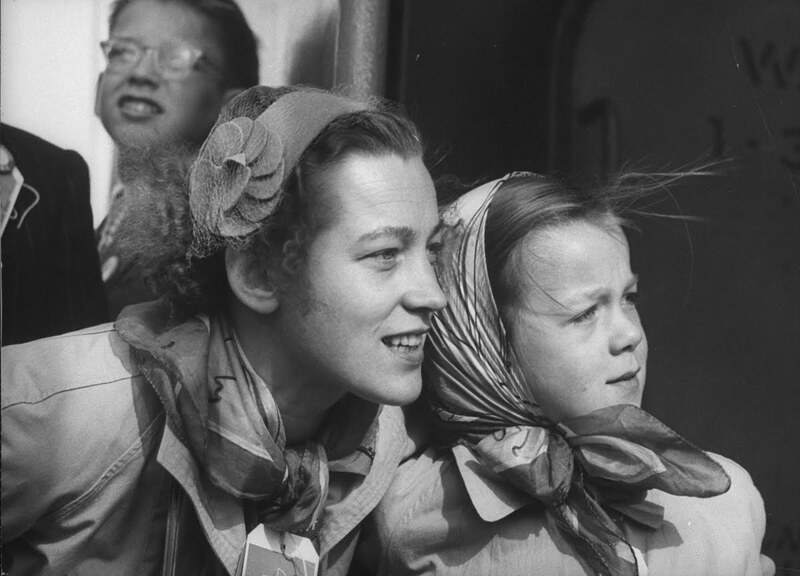 It can be a struggle to research any information about your female ancestors and one of the hardest is their citizenship. Immigrant women who married American citizen men became American citizens from 1855 to 1922. 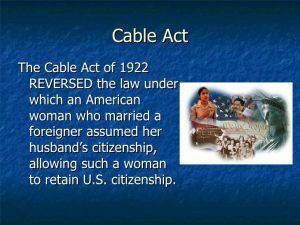 The new U. S. Expatriation Act of 1907 stated that such citizenship via marriage would not only affect the immigrant woman, but also the woman who was an American citizen by birth. Those born on American soil, even those whose family went back generations in America. 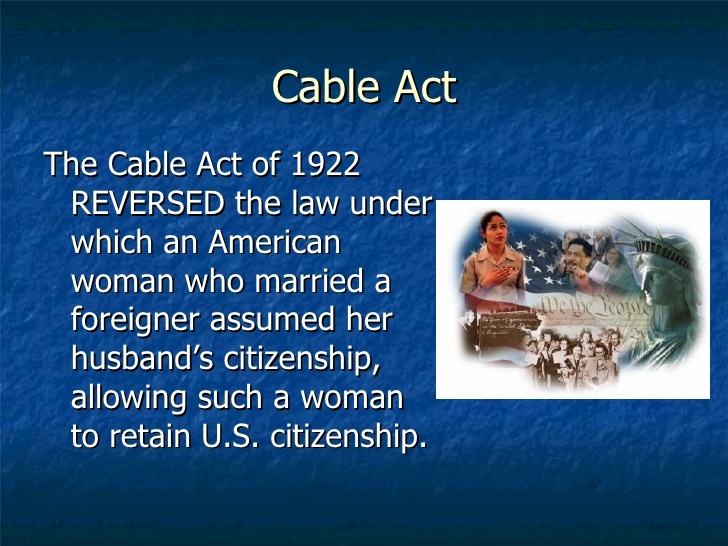 This meant that American women who married a non-U.S. citizen lost their U.S. citizenship. This included the female remaining in the U. S. and never moving to her foreign husband’s homeland. With the world at war beginning in 1914, this became even stronger and very much enforced. It was thought such a marriage to any foreigner meant the female was an ex-patriot. Such loss of citizenship was tied to women’s general lack of rights during this time period. In 1920 when women received the national right to vote, further problems came for women who had married foreign nationals were not eligible to vote. On top of that, should they travel to other countries they risked not being allowed entry back into the U.S. because of immigration quotas. The most famous such case was the daughter of William Jennings Bryan. Her name was Ruth Bryan Owen, born in America. During World War One Ruth served as a war nurse between 1915 and 1918. Returning home she became a much sought after lecturer on the popular Chautauqua lecture circuit. By 1919 Ruth and her husband Reginald Owen, who was a former British Army officer, she had married in 1910. They had moved to Miami and then Coconut Grove in Dade County where her parents were living and she took a position on the board of regents as well as teaching public speaking classes at the University of Miami. The US Cable Act of 1922 did help that 1907 law. 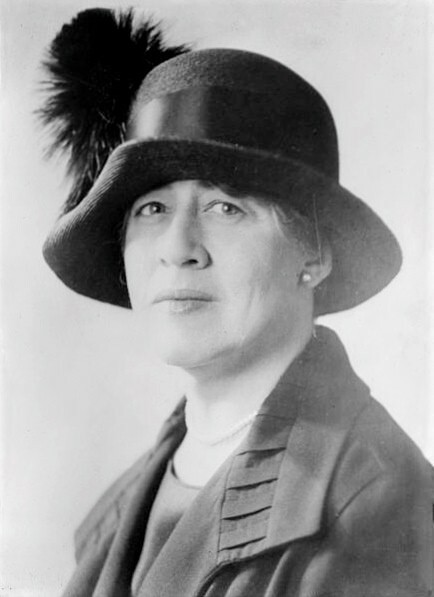 Ruth was elected to US Congress in November 1928 and began her term of office on March 4, 1929, while a widow to Reginald Owen and mother of four. Her election was contested on the grounds that she had lost her citizenship by marrying an alien and not waited the required 7 years after 1922 when elected. She argued her case before the House Committee on Elections, saying that no American man had ever lost his citizenship by marriage. She said that she lost her citizenship because she was a woman, not because of her marital status. So locating citizenship for females ancestors can be difficult. Look into when a female ancestor immigrated if they married an American (very common practice). Check the other way, if born an American, did they marry a non-US citizen (a foreigner). Yes, there are strange laws and ruling over the decades that directly affected our ancestors. Photos: Ruth Bryan Owen in 1929; Cable Act 1922; and female immigrates.